JD Power Initial Quality: Ford Rises 7 Spots! You’ve heard of JD Power, right? 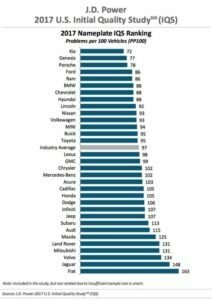 Well, Ford recently leapt all the way to number two of all of the non-premium brands in JD Power’s 2017 Initial Quality Study. This just so happens to be Ford’s best ever ranking in this particular study. This was the study’s 31st year. In the past year, Ford corrected over 85 problems per 100 vehicles. This is down from 102 last year. Ford was among three other brands that tied for fourth place. Last year, Ford placed eleventh. That is a serious accomplishment. The Ford Mustang and the Ford Expedition both won first place quality honors in their segments. Seven other Lincoln and Ford vehicles placed among the top three places in their segments as well. Every year, Ford is working their hardest to improve and advance technology, safety and driver-assist features. This accomplishment is absolutely fantastic! 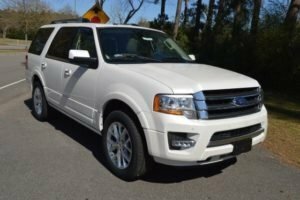 Beach Automotive is honored to sell Ford and Lincoln vehicles to the great residents of the Grand Strand. We have all the award winning Ford and Lincoln vehicles available on the lot. You should truly stop by and take a test drive. If you’ve never had the pleasure of driving a Ford or Lincoln vehicle in the past, you really should. Give Beach Automotive a call today and we’ll set up everything for you! Our knowledgeable staff a call and we’ll schedule your VIP Test Drive when it’s convenient for you. Please don’t wait though, these awesome Ford and Lincoln vehicles don’t stay on the long for very long. 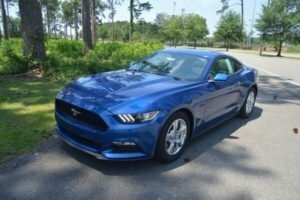 0 comment(s) so far on JD Power Initial Quality: Ford Rises 7 Spots!